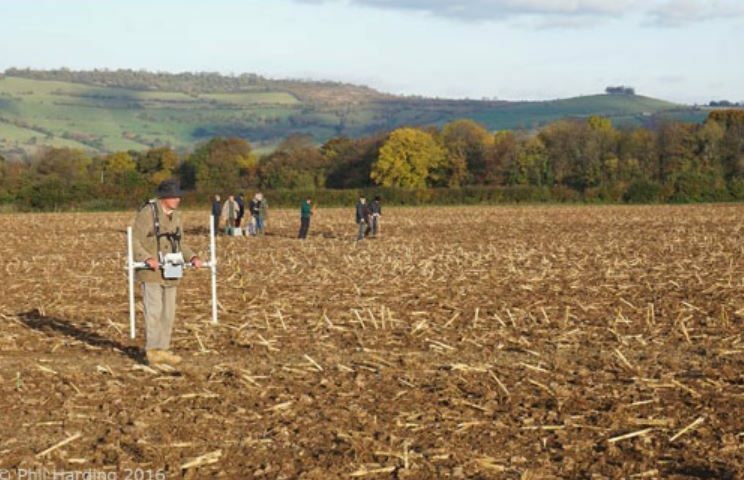 BACAS, together with the Saltford Environment Group, will be continuing the search for a probable Roman farmhouse or villa starting 13 August, 2018. This dig was originally scheduled to start in the first week of October. However, the heat wave and drought has led to the farmer changing his plans for the field and the dig has had to be rescheduled. The dig may last just two days, but it may run longer depending on weather and finds. Robin Holley (BACAS Director of Archaeology) will supervise opening up to four trenches in places determined by the geophysics. He hopes to recruit up to 12 diggers for each of the proposed dig days including experienced diggers to supervise each of the trenches. This is a great chance to get your hands dirty. This dig is open to all members. To register your interest, please email office@bacas.org.uk.